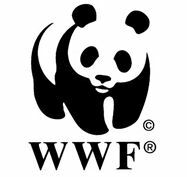 Founded in 1961, World Wildlife Fund’s (WWF) mission is the conservation of nature. Using the best available scientific knowledge and advancing that knowledge where we can, we work to preserve the diversity and abundance of life on Earth and the health of ecological systems by: protecting natural areas and wild populations of plants and animals, including endangered species; promoting sustainable approaches to the use of renewable natural resources; and promoting more efficient use of resources and energy and the maximum reduction of pollution. We are committed to reversing the degradation of our planet’s natural environment and to building a future in which human needs are met in harmony with nature. We recognize the critical relevance of human numbers, poverty and consumption patterns to meeting these goals.